TODAY’S phones are not just for talking or texting messages. Nor the applications (apps) in them for fun. True to their name, the phones of today are smart. They can be your business manager, travel expert and even health adviser. Take the case of Susan Johnston, a freelance writer in the US. She suffers from chronic insomnia and has been using an app called sleep cycle for months now. “I started treatment using the app even before I met the doctor. 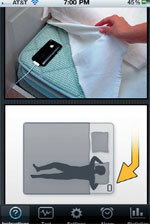 Though he did not put much stock in the app it was helpful in showing overall trends in my sleep,” she notes. She is not the only one. The market for health apps is expected to hit the $400 million mark by 2016 (up from $120 million in 2010), according to ABI Research, a technology research firm in the US. According to the report by Juniper, a mobile research provider, health apps will have 142 million downloads globally by 2016. The available health apps can be divided into three categories. The first type lets people keep a record of their health, like the calorie counting apps. The second are educational apps, which keep one updated with latest information. 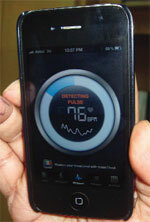 The third category consists of apps that are used for health monitoring. 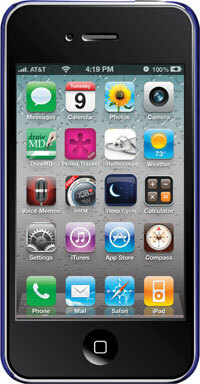 The apps use standard features of a phone like camera, microphone which are not designed for health monitoring. These apps have become a part of Anil Saxena’s life. The assistant director of invasive cardiology at Fortis Escorts Heart Institute in Delhi uses an app called Wards to keep tab on his patients. “It keeps me updated with my patients’ progress even when I’m traveling,” he says. 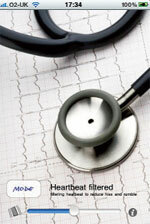 He uses another app called CardioSource which gives instant access to journals in his speciality. Another app, DrawMD, he swears, has been of tremendous help in explaining heart diseases at the anatomical level. The app provides basic pictures of body organs and their minute parts. Doctors can trace over these pictures using their fingers to explain the intricacies of the body. Saxena is at the crest of a trend wave that has already hit the developed world. According to a survey by CompTIAsurvey, IT industry association in the US, 38 per cent of physicians in the US are using health apps daily. The use of these apps may be debatable, at the same time experts say their use needs to be regulated. Sanjiv Malik, former president of the Indian Medical Association, says, “Who approves these apps and how will we know the information is correct?” It is essential these are approved either by the government or medical bodies before they are rolled out, he adds. The Food and Drug Administration in the US had issued guidelines in July this year for regulating the apps. The guidelines noted that apps have both risks and benefits and if they don’t work the way intended, they could jeopardise the patients’ health. Bojan Bostjancic, business development officer for Azumio, a software firm, which developed instant heart rate notes that many nurses use it and find it accurate when compared with traditional method. “But we do not position it as a medical device, it is to be used for health and fitness only,” he adds. Kanav Kahol, who was part of the team that developed algorithm for the heart app says there is nothing to be worried about.